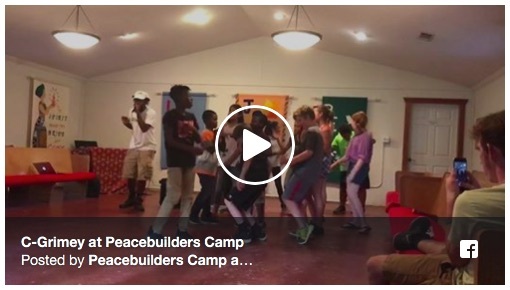 Peacebuilders Camp welcomed a hip hop star to camp on Friday! 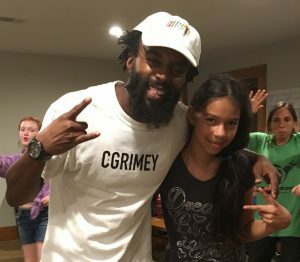 C-Grimey (aka Cameron Williams) from Chattanooga joined us for a day centered around the celebration of the right to expression. The Universal Declaration of Human Rights declares that all people have the right to freedom of opinion and expression. But as Cameron explained to us, in the mid-1970s, the budget for arts in New York City schools was virtually eliminated. Without options for artistic expression in their schools, students the same age as our campers started creating collaborative art in public places. Hip hop grew out of this youth movement. Cameron led us through a history of hip hop and campers were eager to chime in with their own knowledge, especially fitting their own favorite artists into the history Cameron presented. 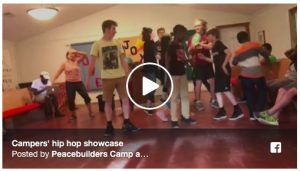 Campers then got to work directly with Cameron in a workshop where they were encouraged to write lyrics, perform their own or others’ compositions, and to dance. A concurrent “How to Draw Comics” workshop also encouraged campers to exercise their right to expression. By Friday, campers have made friends and defined themselves in the camp community. But music, dance, and art can allow them to redefine themselves and to step into new roles. Some of the quieter campers eagerly took leadership and even performed their work before their peers. 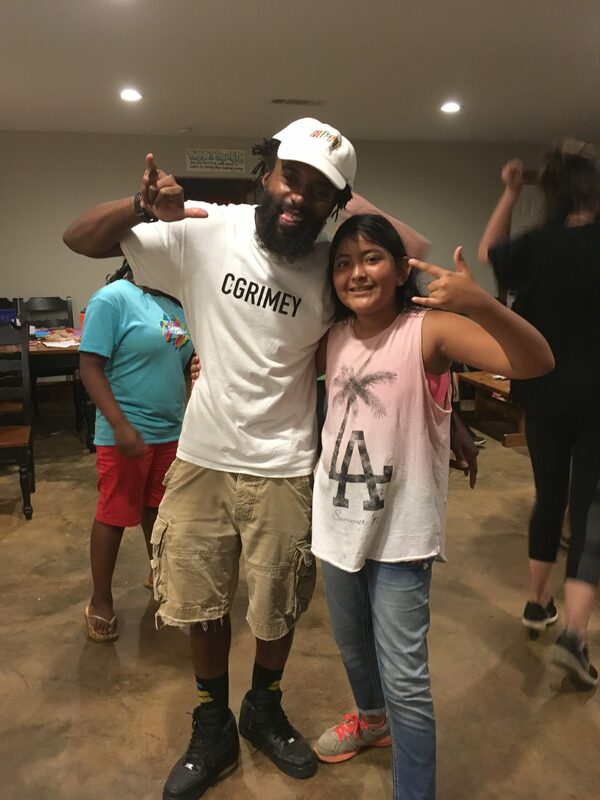 Erica, Litzy, and Alicia were three campers who were particularly drawn to the content of Cameron’s workshop. 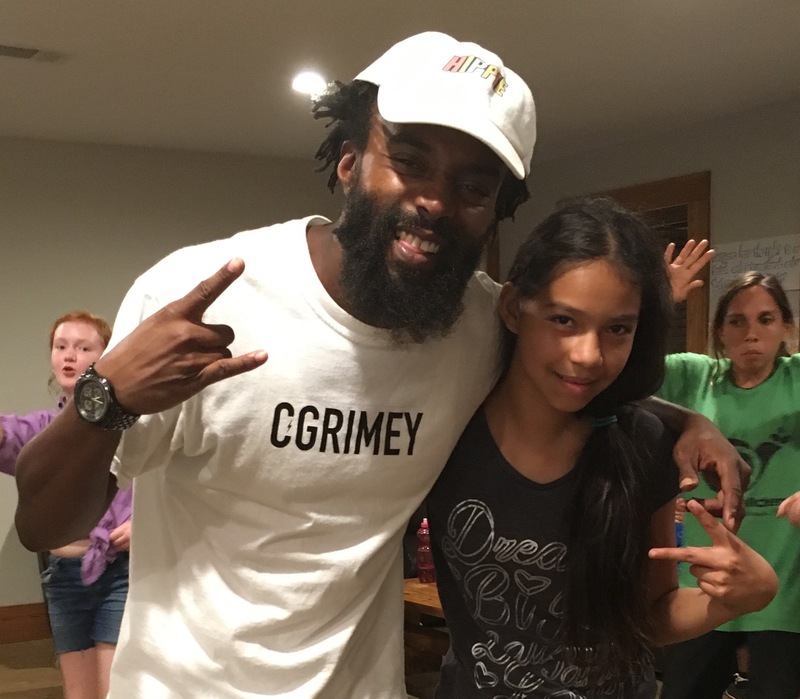 We are so thankful and inspired to have someone like Cameron Williams at camp, guiding us to use hip hop as a vehicle of self expression and social justice!